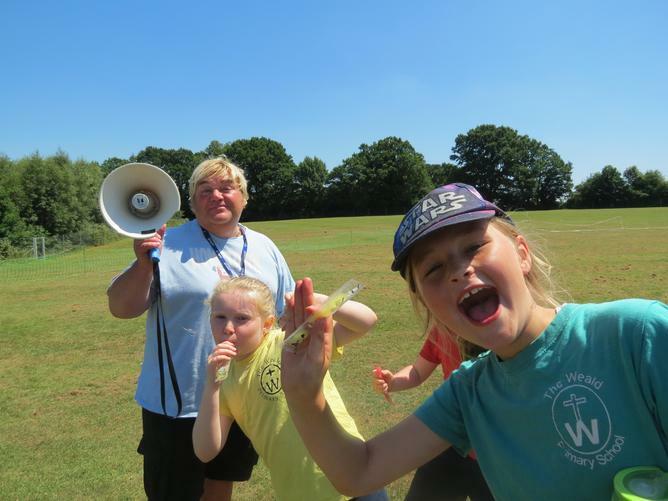 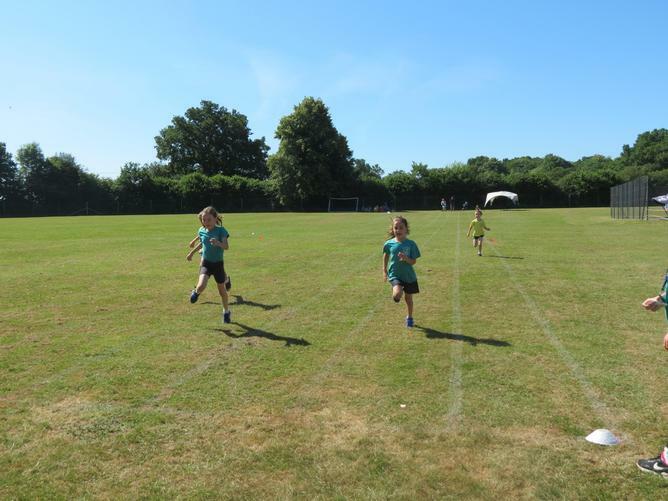 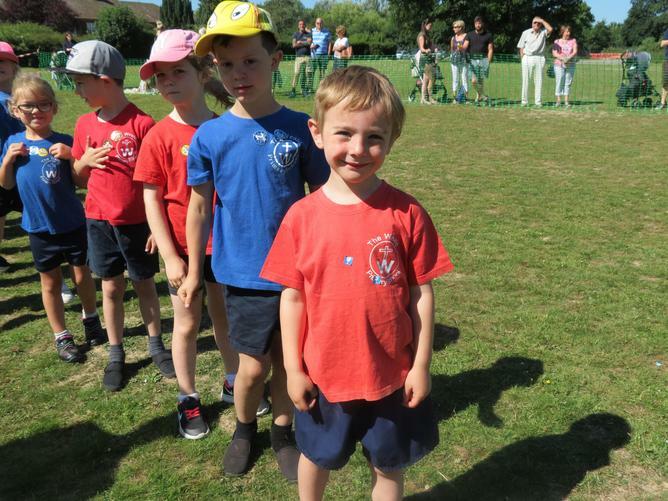 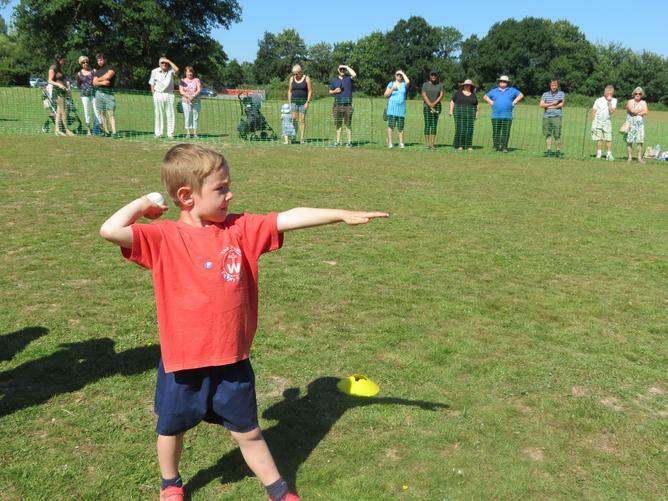 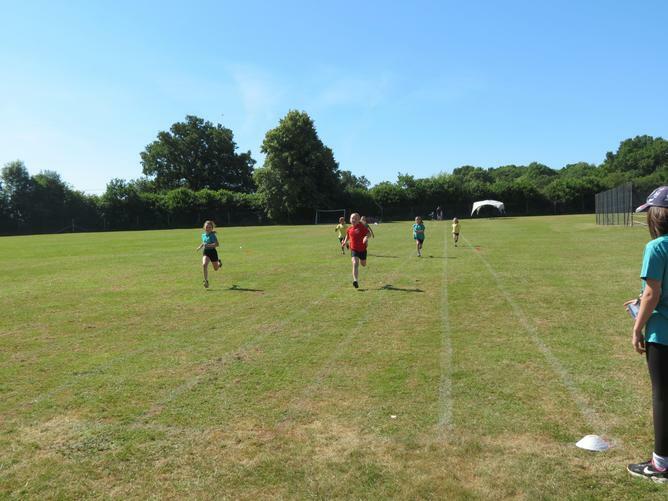 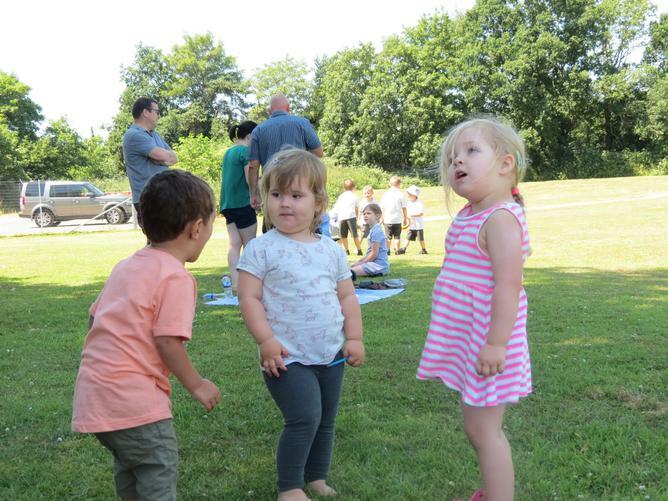 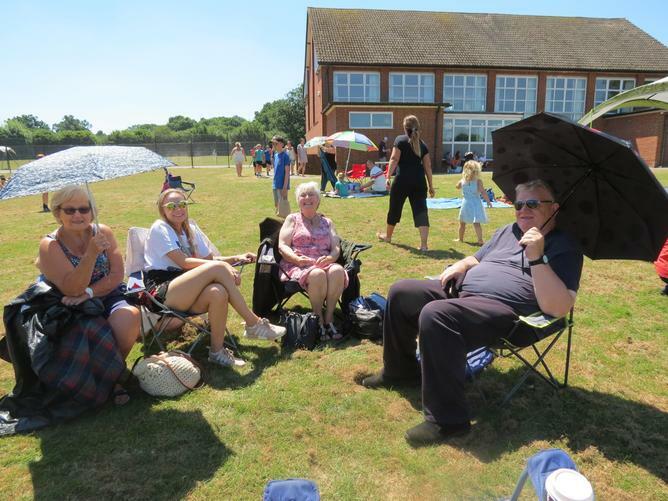 The weather was fabulous, and our children strove for sports day glory on our field with their proud parents, grandparents and carers watching. 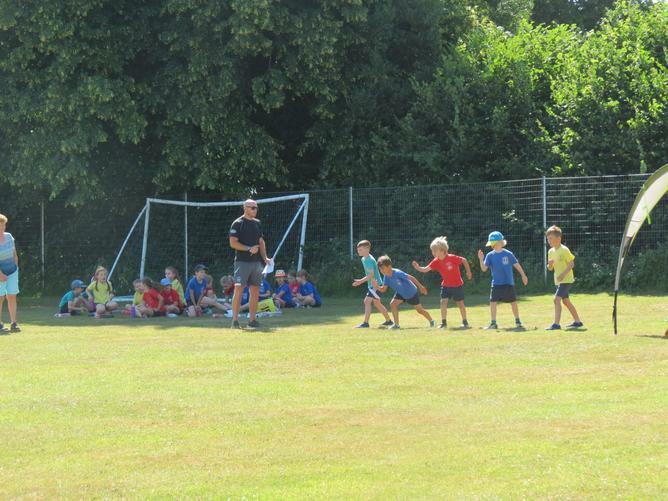 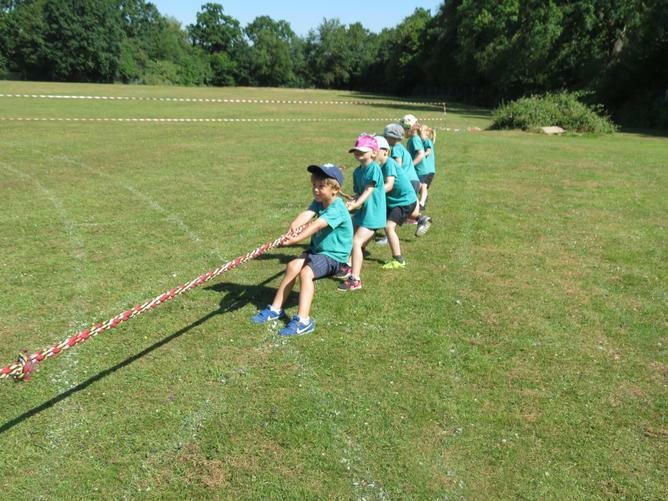 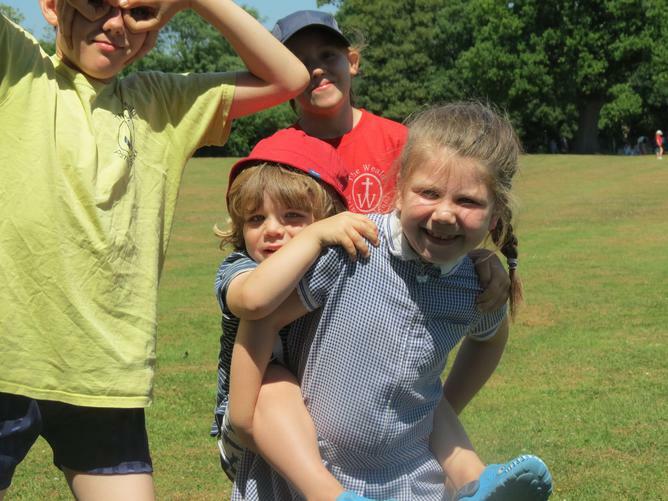 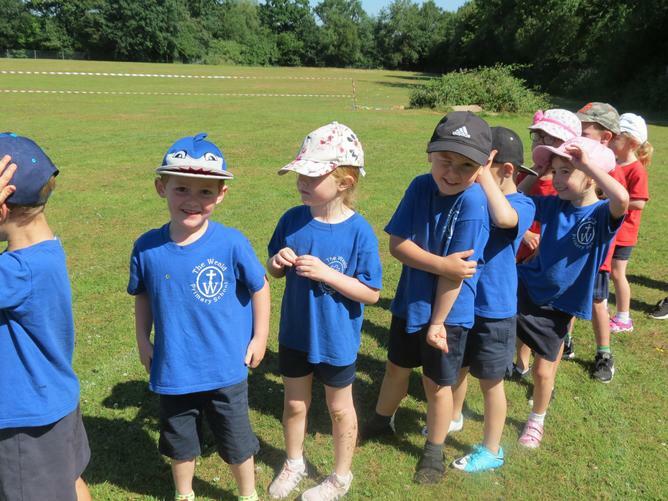 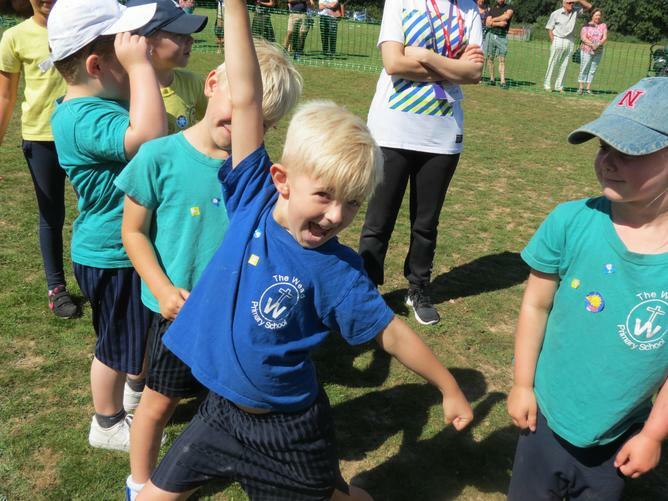 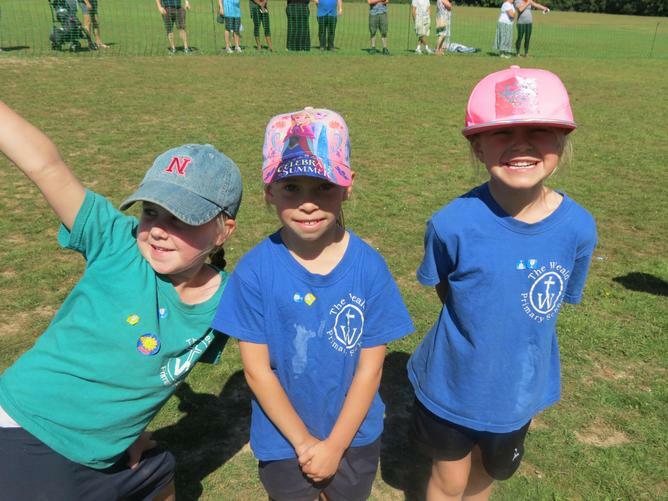 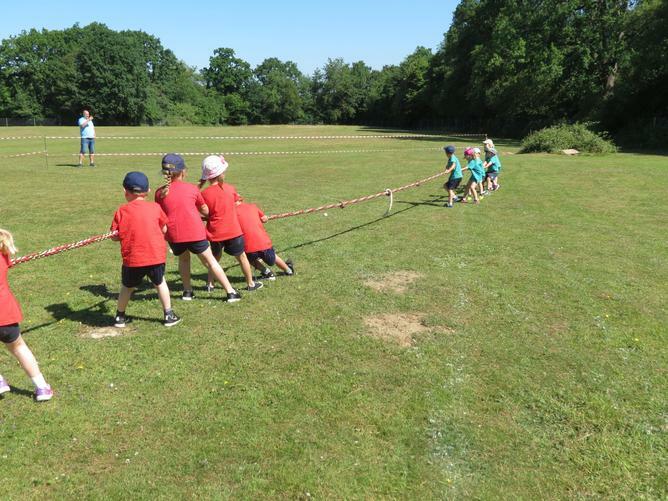 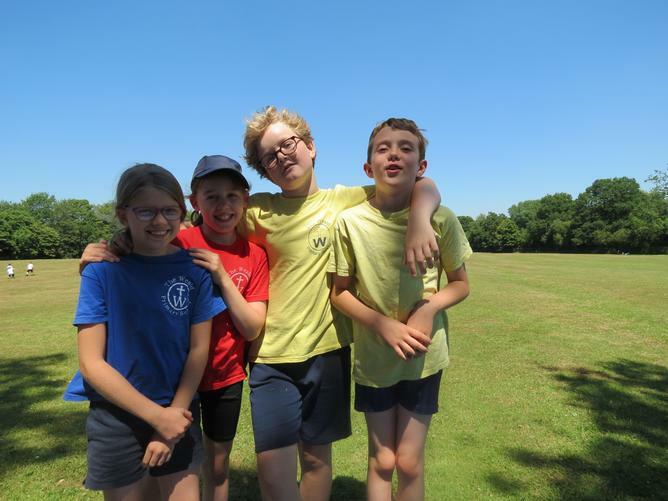 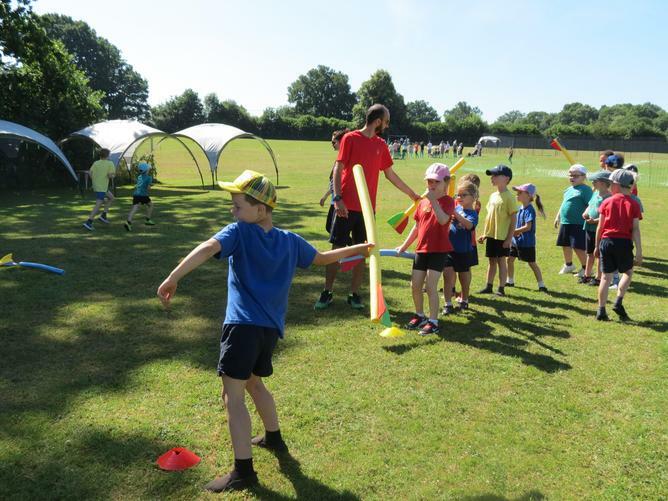 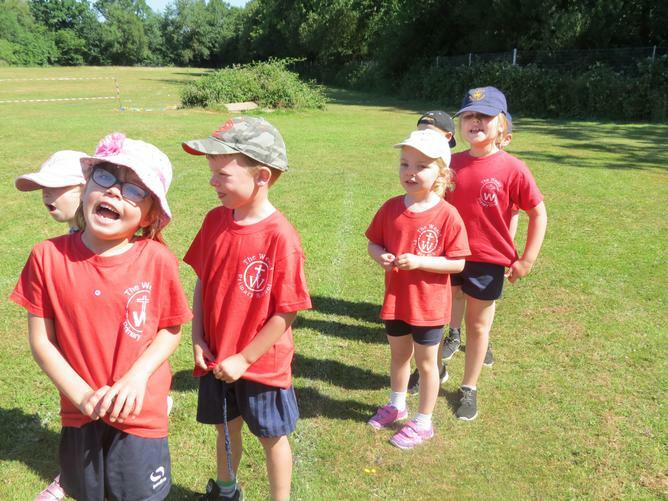 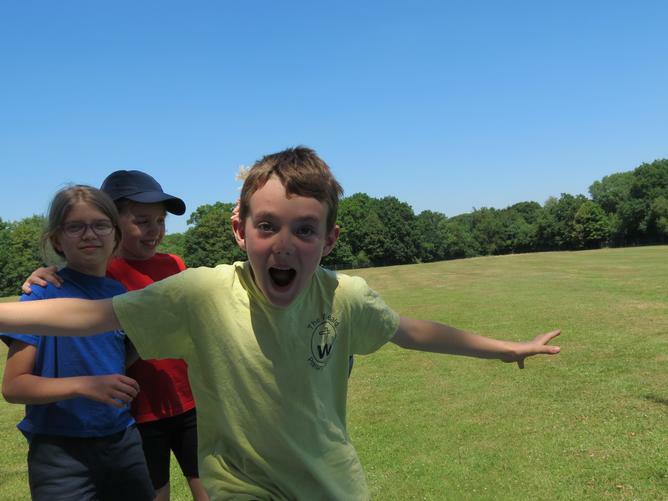 KS2 on Tuesday and KS1 on Wednesday did their very best to compete in running races, ball throwing, javelin, tug of war, egg and spoon and welly wanging. 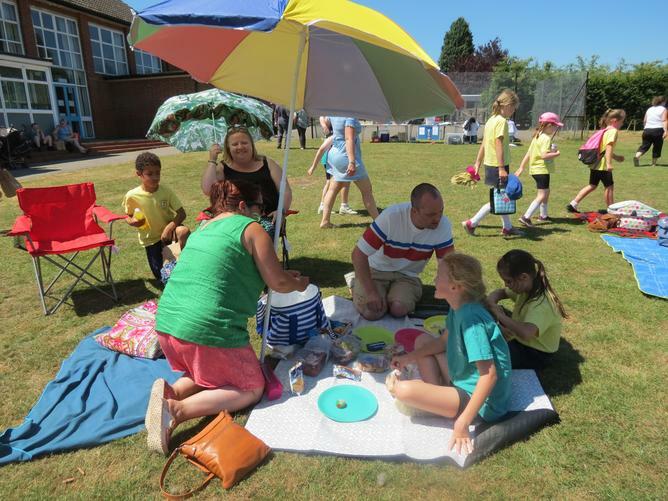 Parents looked on, cheering and clapping, and encouraging their children to do their best. 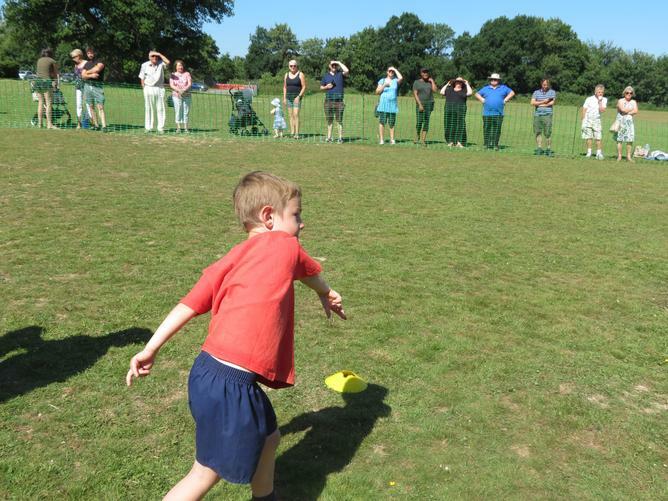 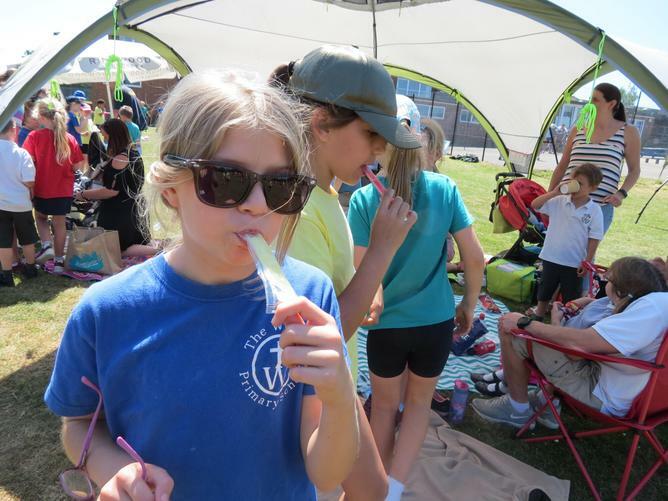 The KS2 sports day was followed by a whole school picnic. 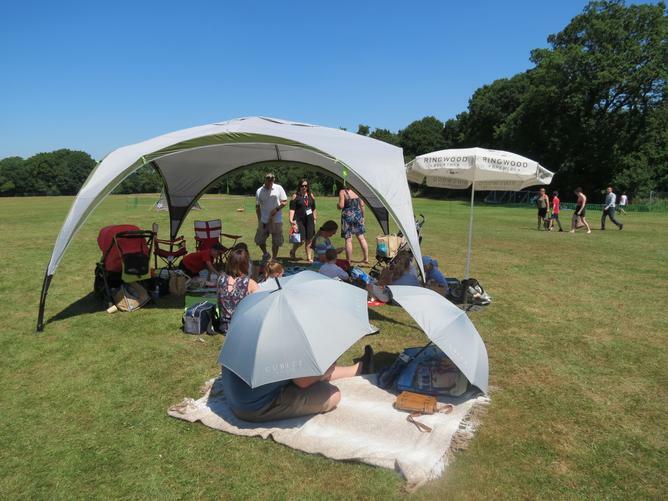 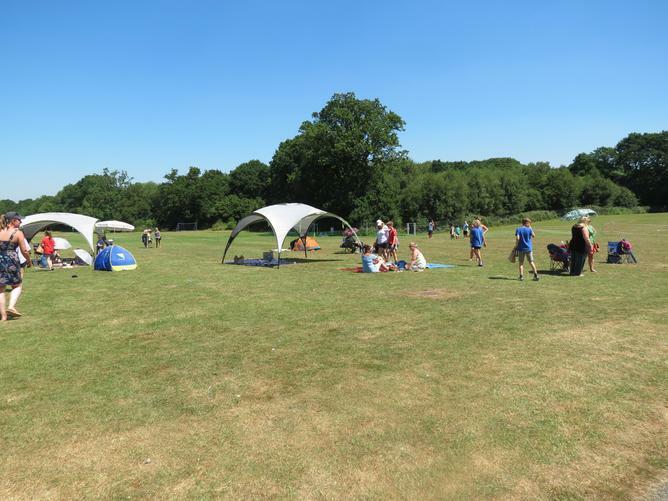 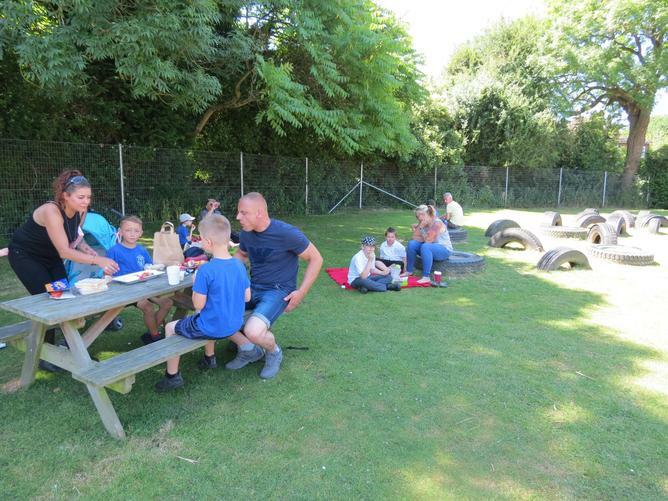 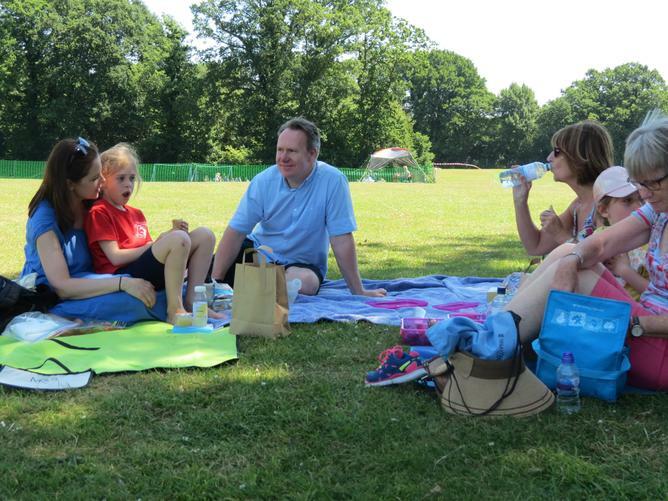 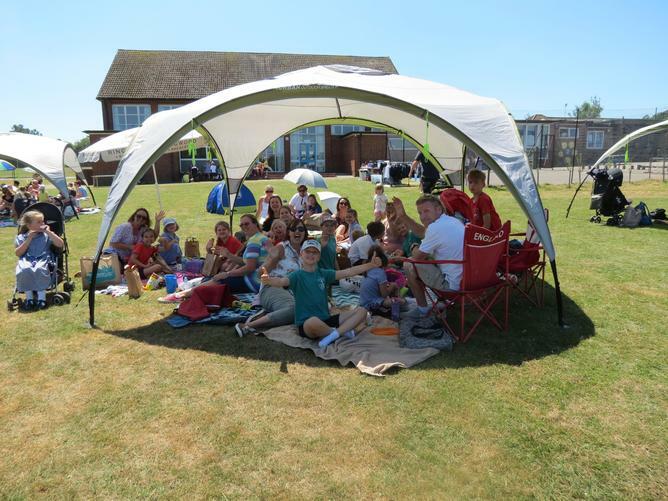 Everyone sought shade and enjoyed some family time together, with the children making the most of the 16 acres of grounds. 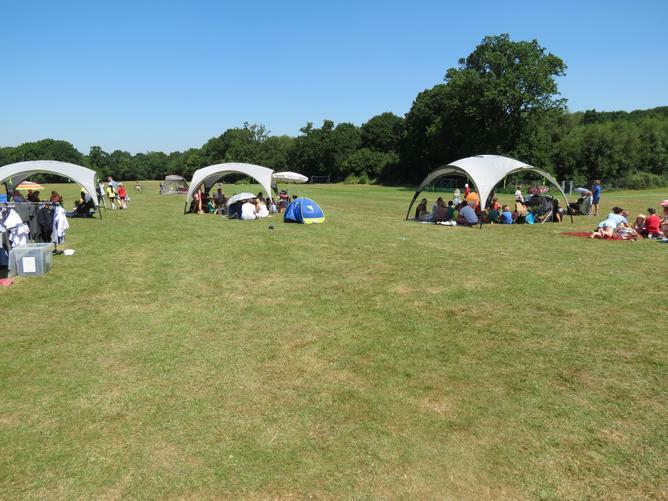 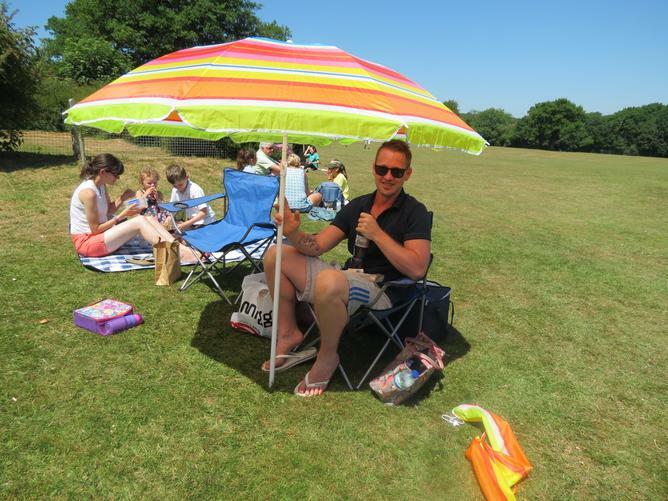 The selection of bright umbrellas and tents made such a cheerful show on the field! 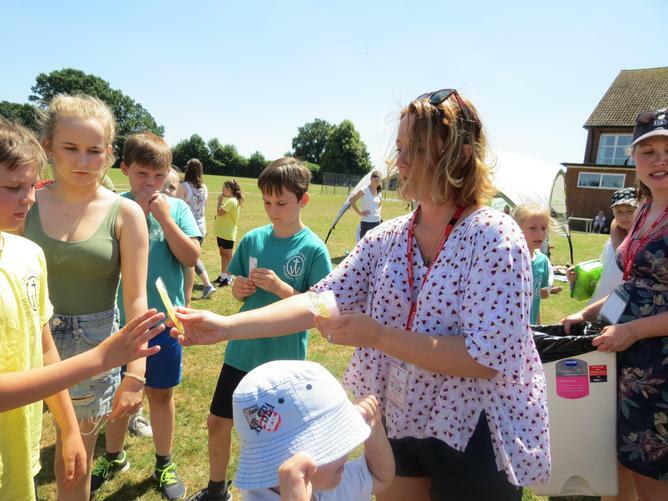 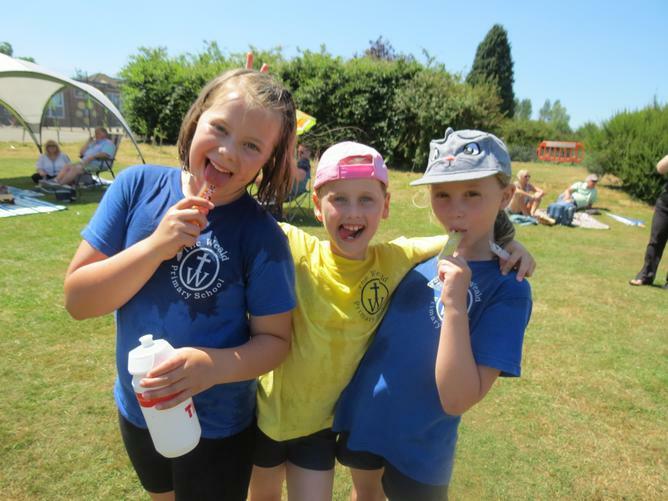 FOTW sold ice creams and drinks to parents and carers, and then kindly gave every child an ice pop to cool them down after their exertions. 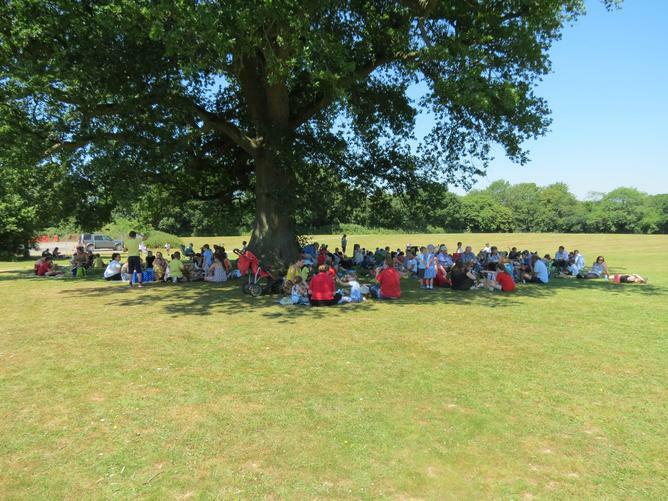 Thank you FOTW. 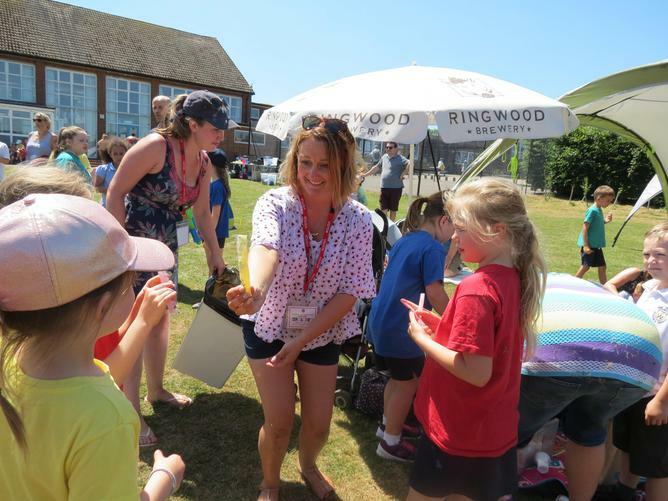 And thank you to all the parents, grandparents and carers who came to cheer on the children, and who helped make such a wonderful cheerful atmosphere on this special day.